One of the largest global events for the power generation and renewable energy industry, POWER-GEN Europe 2017, is currently underway in Koelnmesse, Cologne, Germany. This year, POWER-GEN Europe is celebrating its 25th anniversary and, together with the co-located Renewable Energy World Europe, the event has attracted a worldwide audience involved in all aspects of the centralised and distributed power generation sector. The last day of the event is 29 June. Sulzer is currently showcasing its latest pumping and service solutions at POWER-GEN for a wide range of applications in the power industry. The company prides itself on service and product excellence through innovation. To find out first-hand about Sulzers latest pumping innovations, please visit them at the show. 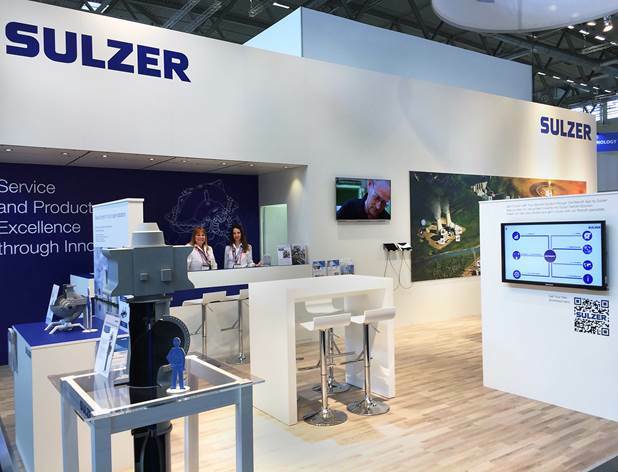 Sulzer is ready for you to visit in Hall 8, Booth C53.